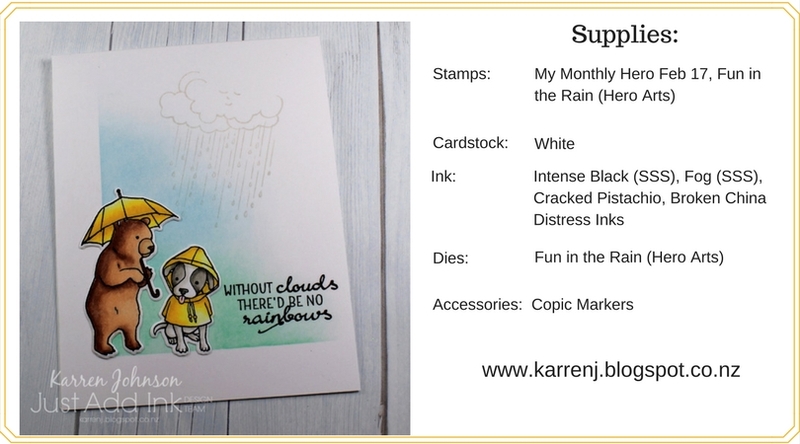 I used the adorable Hero Arts images and after masking and sponging a corner of the card base (a tip from Jennifer McGuire), I added the sentiment, cloud and rain. 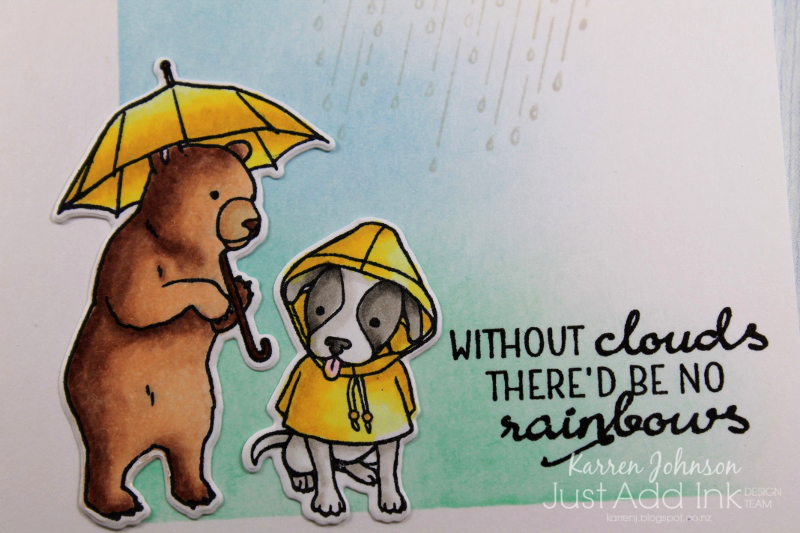 The bear and dog were die-cut and added last. Thanks so much for visiting! Be sure to check out the fabulous critter cards made by the rest of the design team. Oooh, I love that sponged corner! 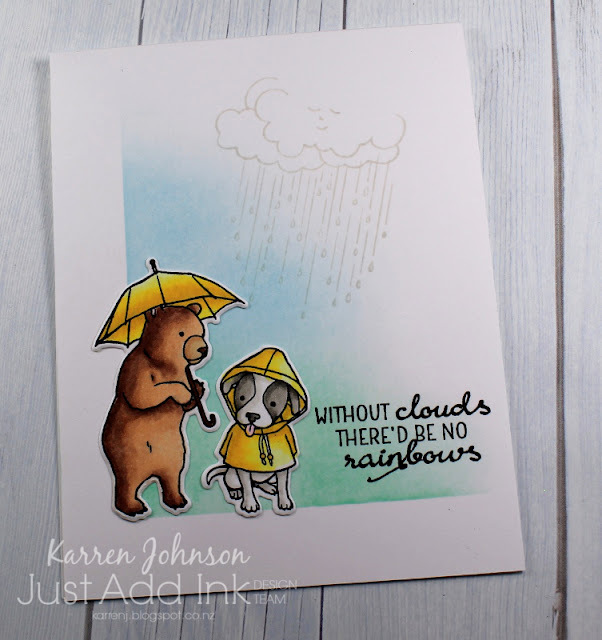 It's a fabulous backdrop for your super cute critters. Oh this is awesome! As always your colouring is just perfect! Somehow I missed this post...hmmm! This is absolutely adorable, Karren! I love how you sponged a corner of your front panel and the raindrops are really fun! 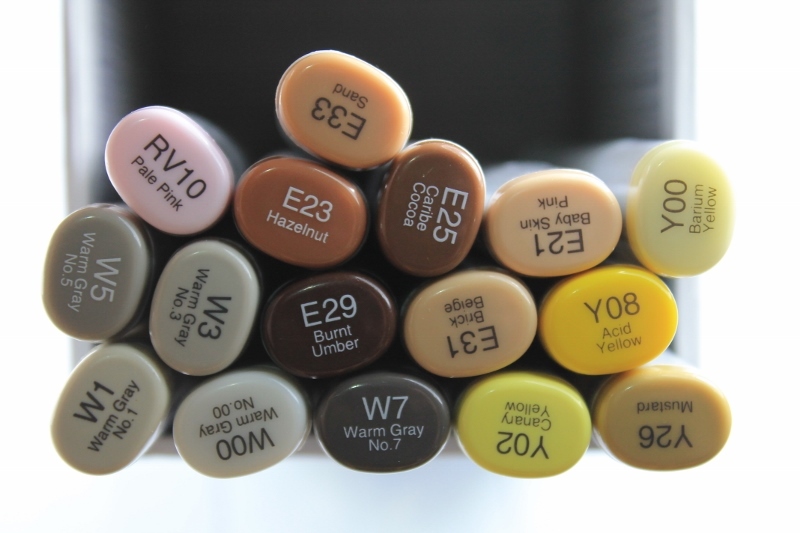 Beautiful Copic coloring, too...LOVE it!! !